When the Black Panther soundtrack dropped it became one of the biggest albums of the year 2018 thus far but even though much of the coverage surrounding Black Panther has been positive, when the reports that Kendrick Lamar and SZA were wrapped up in a lawsuit for allegedly stealing artwork for the “All The Stars” music video things weren’t so celebratory. SZA and Kendrick have remained silent on the matter until now. They have both responded to the lawsuit to deny any plagiarism or outright theft of Lina Iris Viktor’s art. Now according to The Blast, Viktor was contacted twice about the use of her “Constellations” series for the film, to which she refused. When she noticed the resemblance between her work and a set in the “All The Stars” video, Viktor than began claiming that the artists recreated her work without her permission. 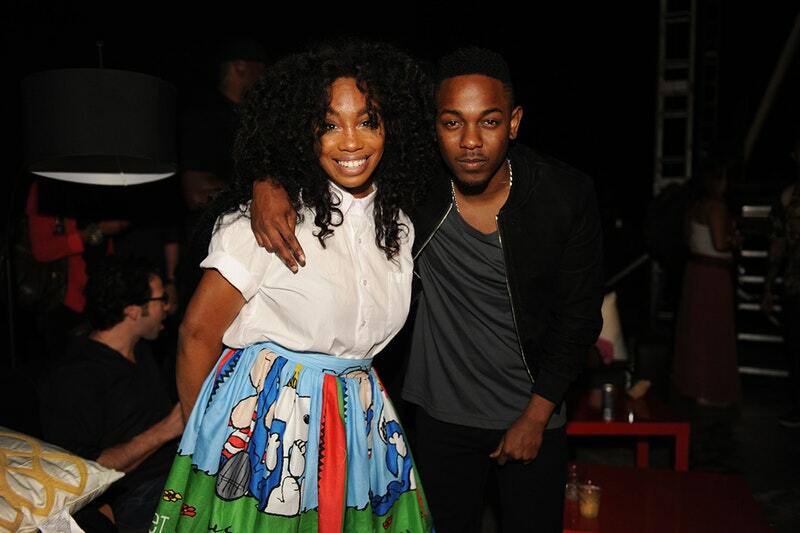 On May 18, both SZA and Kendrick reportedly formally responded to the suit by denying any wrongdoing in regards to the creation of the video, noting that their piece was independently created without ripping off Viktor’s work. They are seeking to have the case dropped as Kenny and SZA claim that if any portions of the video are, indeed, similar to Viktor’s “Constellations,” it is fair use without any copyright to go off of.